Whenever construction of buildings takes place there is a risk of loss or damage. The purpose of this document is to explain the risks and outline the insurance policies that are designed to cover the risks. The main contract governing any construction works usually assigns the responsibility for loss or damage to either the contractor or employer. This could include but is not limited to property developers, property owners or retailers. Recently the industry has seen many Owners and developers relying upon the main contractor to arrange insurance covers for their project(s). 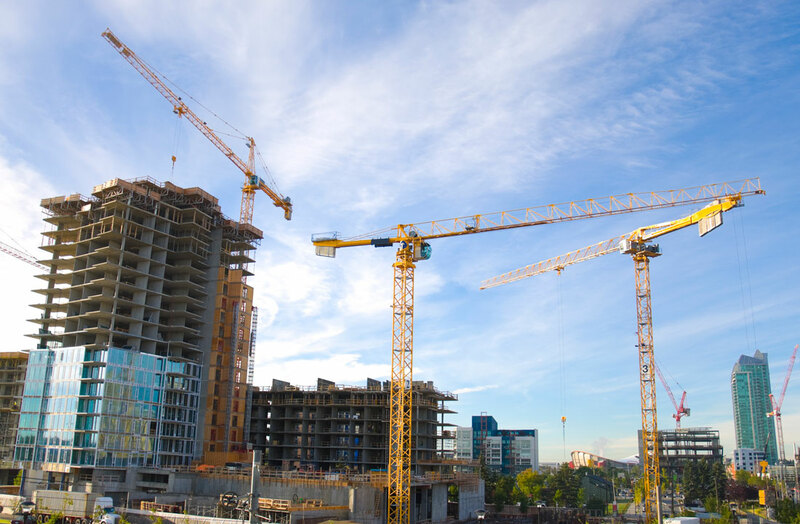 These insurance policies cover risks associated with any particular construction project. A policy is commonly issued under the joint names of a Contractor and a Principal Client. It is sometimes referred to as ‘Contract Works Insurance‘. What is covered by Contract Works Insurance? Cover usually protects against the cost of unforeseen loss or damage to building works, machinery movement, advanced business interruption and public liability, installation and constructional plant during the construction period but can be extended to included the maintenance period too. In addition cover can be included for tools, plant owned by the policyholder or plant hired in. This type of policy can be extended to include a range of additional covers such as; public liability, business interruption and equipment erection. The Principal has control of the Policy by selecting the Sum Insured and periodically reviewing them to ensure that there is no under-insurance resulting from inflation and variations to the project during construction. If the Principal controls the construction project insurance, it can determine what the level of self-retention of risk is fixed at the optimum level to fulfil the twin functions of controlling the premium cost and the imposition of an acceptable level of discipline on the Contractors. Claims Settlements can be made direct to the Owner / Principal who can ensure that reinstatement of the damaged items is made immediately. If the Contractor goes into liquidation, the claims settlements under a policy arranged by him would probably be due to the Liquidator and the Principal would not necessarily be able to recover those monies in respect of work for which stage payments have already been made. Third Party Claims are processed only once instead of several times and cross liability between the Insured parties is unimpaired which is important particularly if an employee of one Insured is injured by another Insured’s employee. Expensive sub-actions on Material Damage claims are avoided since subrogation is automatically waived between all the named Insured parties. Including all Contractors including Sub-contractors in the policy will avoid disputes between individual Insurers over their share of blame and what they are liable for following a claim. Such disputes can result in long delays in a settlement being received thus delaying reinstatement and completion of the project. Insurance cover does not overlap which would otherwise be wasteful of premium and avoids costly Legal arguments over which individual Contractor’s policy should cover what and who should bear any uninsured losses. Partial handover arguments and its attendant risk of Contractors being under-insured for third party losses are avoided with a Project Policy because otherwise once part of the project is handed over Contractors would be exposed under their third party policies as Contractors’ own policies often exclude losses occurring after the issue of an interim completion certificate. Project policies can protect planned future income if the Project is delayed due to an insurable loss. The protection of future income, agreed ‘Contract Certain’ policy wordings and the use of insurers of ‘global standing’ can be used to negotiate reduced finance costs from Funders thus increasing the investor’s profit margin. Most favourable terms can be obtained instead of perhaps only average terms if insurances are placed piecemeal. All insurance policies are written specifically for the Project and can include all parties with an insurable interest and not on a ‘one size fits all’ basis, which may not reflect the aims of the Project or the contractual agreements between all parties. Bespoke Risk Solutions is a specialist insurance broker with industry expertise in construction insurance – from some of the UK’s largest construction projects through to small independent building firms and sole traders. Bespoke Risk Solutions can work with you to understand your business and how to manage construction risks. We are able to tailor an insurance solution to a client’s unique needs. If you would like more information please email info@bespokerisksolutions.com or phone 01702 200222. Bespoke Risk Solutions Ltd are registered in England and Wales No. 07292153. Registered office: Victoria House, 50 Alexandra Street, Southend-On-Sea, England, SS1 1BN. Leisureworld (GB) Ltd are registered in England & Wales No. 02663024. Registered office: 1422/24 London Road, Leigh On Sea, Essex, SS9 2UL.